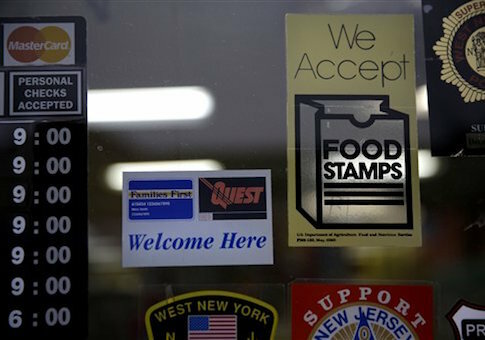 States did not always enforce work requirements for food stamp recipients before giving them benefits because doing so was "too burdensome" for them, according to an audit from the Department of Agriculture's Inspector General. The Food and Nutrition Service established work requirements for Supplemental Nutritional Assistance Program participants who are able-bodied adults without dependents, fall in the age range of 18 to 49, and are not disabled. These individuals are required to work 20 hours or more each week or participate in a qualifying work activity. If an individual does not meet this work requirement, he can only receive benefits for three months in a span of three years. The agency can approve states to waive this time limit if a state's unemployment rate is above 10 percent or in an area with insufficient jobs. Despite this, auditors found that the agency has approved waiver requests for areas where there is effectively full employment. The audit found that officials in three states specifically requested these time limit waivers because tracking the work requirements was too burdensome. "Due to the burden of implementing the able-bodied adult without dependent provisions, officials in three states told us that they specifically requested able-bodied adults without dependents time limit waivers in as many parts of the state as possible to minimize the areas where they needed to track the able-bodied adults without dependents time limits," the audit said. "Officials in another two states confirmed that their tracking workloads are lightened by waiving more areas from the able-bodied adults without dependents time limits." "Able-bodied adults without dependents may or may not be required to work depending on which state they live in," the audit said. For example, one state was not applying the time limit to able-bodied adults without children who were already receiving benefits. This resulted in some of these individuals earning up to a year of benefits instead of the three months allowed by law. According to the latest agency data from 2014, there were about 4.7 million food stamp beneficiaries who were able-bodied adults without children, who received about $776 million in monthly benefits. The agency did not establish in its report how many of those beneficiaries were receiving more than the three months of benefits allowed by law. The agency said it is ramping up oversight of this problem. "In light of improving economic indicators and, as a result, a return of the able-bodied adults without dependents time limit in many parts of the country, the Food and Nutrition Service has ramped up oversight of and technical assistance to states to ensure eligible able-bodied adults without dependents are receiving benefits," said Audrey Rowe, administrator at the agency. This entry was posted in Issues and tagged Food Stamps, Government Spending. Bookmark the permalink.